PRESALE TICKETS FOR THE EVENT ARE SOLD OUT! Vocalist Kyra Gordon with Pianist and arranger Larry Steelman bring us their hypnotic and far-out arrangements of two iconic singers: Janis Ian and Janis Joplin. In “Loving Janis” the stylistic interpretations of both Janis Joplin and Janis Ian will encompass jazz, rock and folk arrangements of the iconic performers. 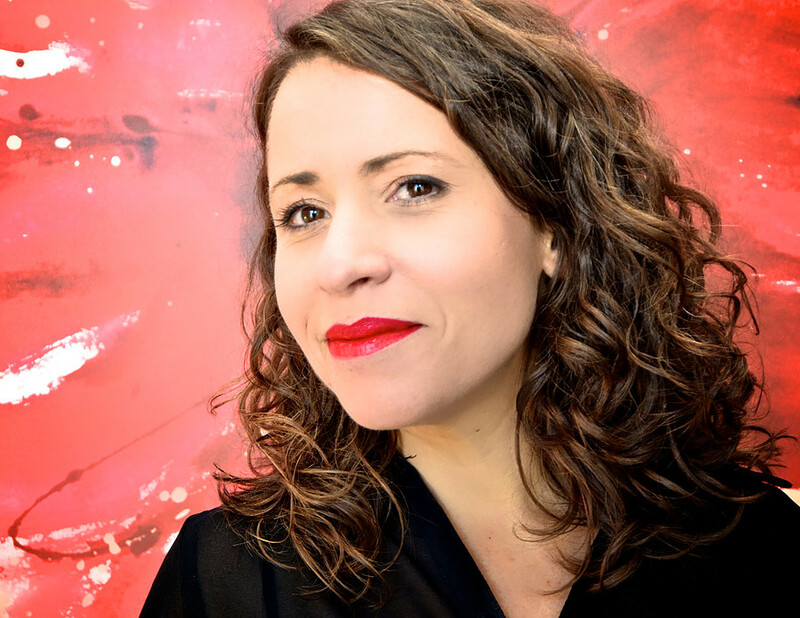 Epic song classics including “At Seventeen”; “Jesse”; “Piece of My Heart”; “Bobby McGee” and others will be joyfully sung in a heartfelt tribute by singer-songwriter Kyra Gordon. The idea of creating the "Loving Janis” tribute show evolved from an inspirational event Kyra experienced at age 17. While living in Los Angeles she was asked to audition for the role of Janis Joplin in a film project titled “Piece of My Heart” for Paramount Pictures. 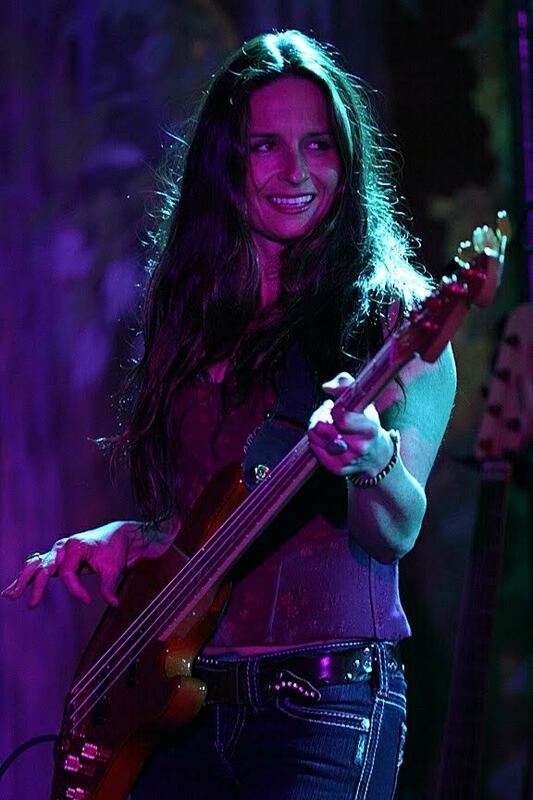 The project was scrapped and Kyra did not get the part, but carried the script around wondering “what if I were to do something based on Janis?”Kyra did indeed do a more “jazz tinged” tribute to Janis Joplin titled “Turtle Blues” in April 2017. Later in the year Kyra wanted to create the Janis tribute with a more “yin and yang” approach and contrast the work of Joplin with that of folk singer-songwriter Janis Ian. Larry Steelman is a composer and musician who has worked with such artists as Johnny Mathis, Natalie Cole, Mick Jagger, Willie Bobo, and Dizzy Gillespie. Paul Eastburn is a bassist and multi-instrumentalist freelance musician from the SF Bay Area. Alan Hall taught drum set and ensembles at Berklee College of Music for seven years and he currently teaches drum set and ensembles at California Jazz Conservatory in Berkeley and Cal State University East Bay in Hayward. He has performed and/or recorded with many jazz greats including: Paul McCandless, Russell Ferrante, Taylor Eigsti, Art Lande, Geoff Keezer, Jimmy Haslip, Kai Eckhardt, and vocalists Kenny Washington and Rebecca Parris. Matthew Charles Heulitt has been a guitarist on the bay area scene for 20 years doing session work, touring internationally, working for a multitude of artists as a side-man, as well as leading his own groups. He spent 15 years with legendary funk drummer Zigaboo Modeliste (The Meters), and the last 10 touring and recording with Grammy award winning producer/drummer Narada Michael Walden (Jeff Beck, The Mahavishnu Orchestra). The Dynamic Miss Faye Carol is one of the premier vocalists of her time. Her unique style and gift of connecting with her audience is astonishing. 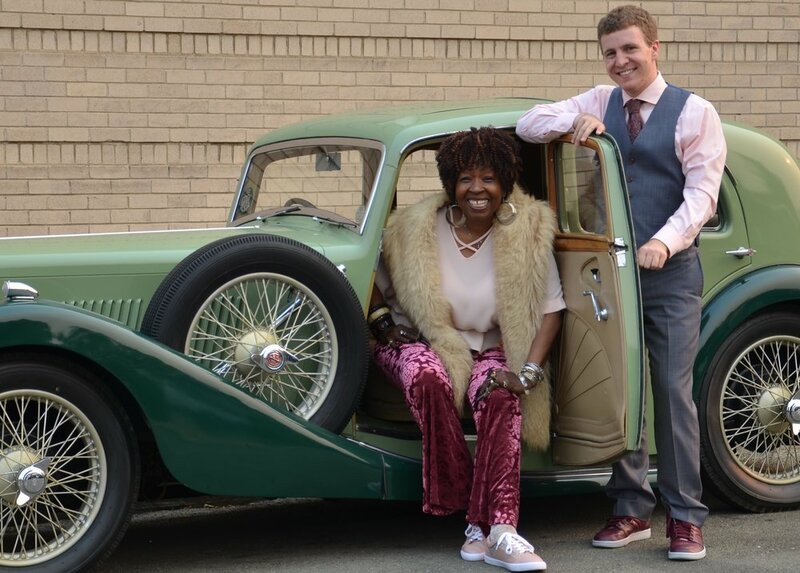 This Bay Area living legend is a recipient of countless awards and honors inducing 2014 Bay Area Jazz Hero Award, 2016 City of Berkeley Lifetime Achievement Award, and four Cabaret Gold Awards, in addition to her 2015 induction into the Oakland Blues Walk of Fame. She has shared the stage with legendary artists such as Albert King, Marvin Gaye, Ray Charles, Billy Higgins, Charles Brown, Bobby Hutchinson and Pharaoh Sanders. Now established as a world-class artist at the top of her craft, today Ms. Carol performs as The Dynamic Duo with talented young pianist Joe Warner and continues to dazzle and delight audiences at home and beyond. Before becoming a prominent figure in women's music in the 1990s, San Francisco native Linda Tillery began her singing career in the 1960s with the gender-integrated psychedelic/soul band the Loading Zone, which was modeled somewhat after Sly and the Family Stone. After two albums with that band, Tillery released her solo debut, Sweet Linda Divine, on CBS in 1970 to enthusiastic reviews and high praise. She spent most of the '70s singing and playing drums on over 40 albums, including efforts by Mary Watkins and Teresa Trull. Having become a staff musician and producer at Olivia Records, Tillery released her second solo album, a self-titled effort, on the label in 1978, garnering a Bay Area Music Award for Best Independently Produced Album; Tillery has twice gone on to win Bay Area Jazz Awards for Outstanding Female Vocalist. In subsequent years, Tillery collaborated with such female musical powerhouses as June Millington, Deidre McCalla, Barbara Higbie, and Margie Adam, as well as on the Olivia Tenth Anniversary Album, Meg/Cris Live at Carnegie (1983). In 1985, Tillery released Secrets on her own 411 label; distributed by Redwood Records, it returned her to center stage. In recent years, she has assembled a large band, Skin Tight, which plays jazzy, funky blues, as well as briefly joining the Zasu Pitts Memorial Orchestra. 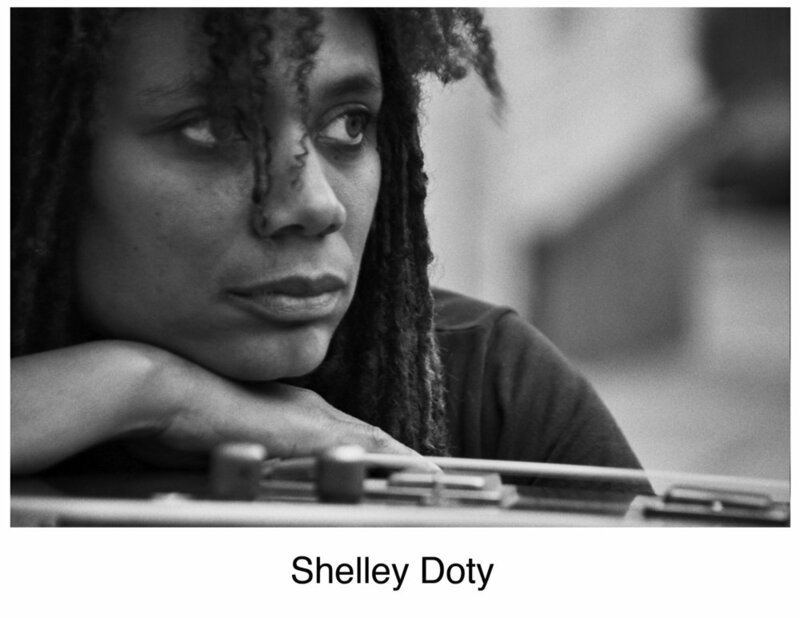 She has also branched out into areas like radio, film, theater, and television commercials, worked for the National Endowment for the Arts, and appeared with artists ranging from Santana to Kenny Loggins and Huey Lewis to the Turtle Island String Quartet, Bobby McFerrin, and Holly Near. In 1992, Tillery decided to form an outlet for her desire to perform the traditional spiritual music of African-American slaves and their descendants. The Cultural Heritage Choir today includes Tillery and fellow Bay Area vocalists Rhonda Benin, Elouise Burrell, sometime solo artist Melanie DeMore, and Emma Jean Foster-Fiege. The group has released the albums Good Time a Good Time (1995) and Front Porch Music (1997). Tammy Lynne Hall began playing the piano at age four, in Dallas, Texas, where she was raised by two grandmothers, a grandfather and numerous aunts and uncles. Her earliest memories of the piano were of climbing onto the piano bench and pick out the notes to tunes she heard either on the radio, record player or something the choir sang at church. Later, Tammy became the pianist not just for the Junior Choir at her home church but also the pianist and organist for her godfather’s church in Terrell, TX, some 40 miles away and she was sometimes the rehearsal accompanist for her school choir from sixth grade at Pearl C. Anderson Junior High to her senior year at the Hockaday School. It became evident that Music had chosen Tammy to walk it’s path. Giving full support for this journey were Tammy’s two grandmothers, who pooled their resources to make sure she had access to private lessons from age 8 to 18. Tammy participated in juried recitals, resulting in her winning several awards and honorable recognition in regional and national recitals and competitions. Because of her talent and impeccable academic record, Tammy was encouraged to apply and was accepted to the Hockaday School, where she attended on an academic and musical scholarship, which also led to her attending the prestigious and progressive Mills College in Oakland, CA from 1979 to 1981. Tammy’s grandfather also contributed to her musical journey by showing films of the greats Fats Waller, Dorothy Donegan, Hazel Scott, Duke Ellington and Count Basie; he was one of the first Black projectionists in the country and regularly showed films in his home and at public school auditoriums and churches for the community. These films along with the music she heard on the radio, at church, and the r&b, soul and pop records of the time, even the incidental and theme music she heard on television, all influenced Tammy’s playing. These early experiences would form the triad of Tammy’s core sound: a fusion of Jazz, Gospel and Classical. In pursuit of developing her own voice and the experiences of a ‘Jazz’ life, Tammy left Mills College and gained more improvisational and accompanying experience sitting in with local bands in the Bay Area when visit to Brussels turned into a 2 year stay. During this time Tammy along with saxophonist Dr. Josylyn Segal, formed the quintet Touche Differente (Different Touch), playing in venues and festivals including the Brussels Jazz Club and the North Sea Jazz Festival, Antwerp, France, Holland and Ibiza, as well as performing and recording with the late saxophonist Noah Howard. <br><br>Since returning to the Bay Area in 1989, Tammy has with worked award-winning cabaret singer and actress, Connie Champagne, the Supreme Mary Wilson, chanteuse and actress Debbie De Coudreaux, The Montclair Women’s Big Band, Houston Person, the late David ‘Fathead Newman’, jazz violinists Regina Carter, Jeremy Cohen, Mads Tolling, orchestra leader and bassist Marcus Shelby, guitarist Terrence Brewer, vocalists Kim Nalley, Denise Perrier, Pamela Rose, Linda Tillery and the Cultural Heritage Choir, Holly Near, Lynne Asher, Melba Moore, Miki Howard, Rhonda Benin, Darlene Love, Lady Mem’fis, Veronica Klaus, Diane Witherspoon, Queen Esther Marrow, Ernestine Anderson, Derek Lassiter, Frankye Kelley, Nicolas Bearde, Kenny Washington, Lisa Ferraro Erika Luckett, Karen Drucker and the late Etta Jones. Tammy’s continued involvement with her musical and cultural community include working as an instructor (faculty)/mentor, with a number of non-profit arts organizations making music and theatre accessible to under-funded inner city children and well known and funded organizations such as: Adventures In Music (AIM), under the auspices of the San Francisco Symphony in collaboration with the San Francisco Unified School District, The Handful Players Children’s Theatre (San Francisco public schools/Boys & Girls Club of San Francisco), the Drew School (San Francisco), Jazz Camp for Girls at the Jazz School (Berkeley), The Oakland Public Conservatory of Music, Alameda Unified School District, Stanford Jazz Workshop, Zellerbach Foundation, Yoshi’s and the Jazz & Heritage Center of San Francisco and most recently, Musically Minded Academy in Oakland and the Narada Michael Walden Foundation. Tammy has also accompanied the Porter College Gospel Choir at University of California, Santa Cruz as well as the Inner Light Ministries Choir in Soquel,California, both under the direction of Valerie Joi Fiddmont and shares a Music Ministry with the Centers for Spiritual throughout the Bay Area and California. She has traveled and performed extensively in Japan, Europe and Mexico, including a 30-city tour with Queen Esther Marrow and the Harlem Gospel Singers throughout Germany, Switzerland and Austria. Other venues and festivals of note include Kennedy Center (Mary Lou Williams Jazz Festival), Lincoln Center and Carnegie Hall, Sala Filharmonica (Trento, ITALY), Herbst Theatre, Monterey Jazz Festival, San Jose Jazz Festival, SFJazz Center, Yoshi's Oakland and San Francisco and Kuumbwa Jazz in Santa Cruz, CA. Gladys “Bobi” Céspedes has been at the forefront of representing and promoting Cuban music in the Bay Area and the United States for over 40 years. A vocalist, composer, band leader and educator, Bobi first won international recognition as director and lead singer for Conjunto Céspedes. The band recorded 4 albums, including Una Sola Casa and Vivito Y Coleando which won awards for Latin Album of the Year in 1993 and 1995 from the National Association of Independent Records Distribution (NAIRD). With the Conjunto, Bobi toured the United States and internationally, winning raving reviews in every major city where they performed, and opening for such stars as Los Van Van, Celia Cruz, Ruben Blades, and Brian Ferry. 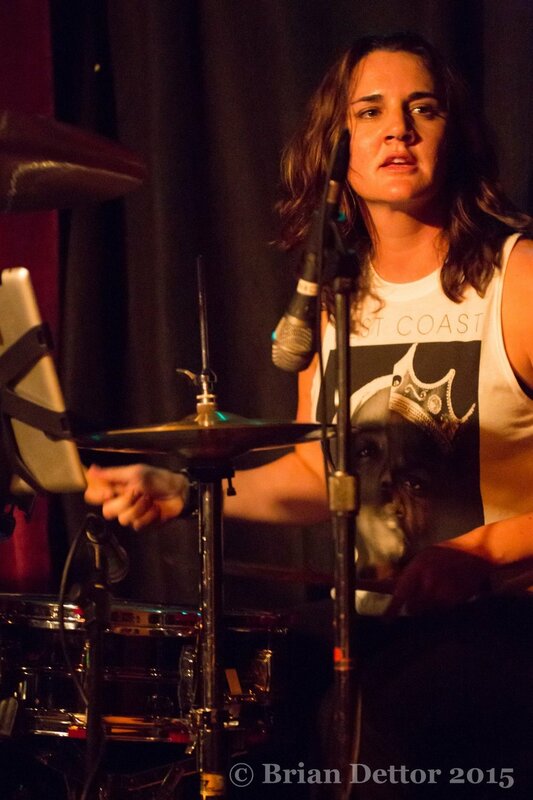 Bobi also toured and recorded with Grateful Dead drummer Mickey Hart’s Planet Drum project, appearing on his Supralingua and Spirit into Sound releases. Since 2003, working in a septet format with a band under her own name, Bobi has continued to perform and tour, and recorded two albums: Rezos and Patakin. She was invited to perform at the Grand Opening Weekend for the dedication of the National Museum of African American History and Culture in September 2016, as part of a lineup that included such divas as Angélique Kidjo and Meshell Ndegeocello. By integrating folkloric and modern elements in an authentic and distinctive sound, Bobi gives a modern voice to traditional Cuban music, providing fresh ways for contemporary audiences to be touched by her rich musical heritage. Her dynamic performances lead you on a journey from Afro Cuban chants to Cuban són, rumba, cha cha chás and boleros. In the rich field of Cuban music, Bobi Céspedes stands out as a gem and can rightfully be considered one of our national cultural treasures.